Game birds can be fine additions to any birder's life list, but it is a controversial topic in the birding world that those same birds can also be prize additions to a hunter's quarry. Birders and hunters are not enemies, however, and proper, regulated hunting plays an important role in bird conservation. The exact birds open for hunting in any given location will vary widely based on several factors. The current population of those birds and any threatened or endangered status, habitat availability, the birds' breeding season, and local laws all influence what birds can be hunted and when hunting seasons are open. Birds that are hunted in one area may be protected in another region, even if the two areas are very near to each other. Depending on the population growth of a species, hunters may be permitted to take different numbers of birds in different years to avoid overtaxing the populations and to ensure stable growth. The same factors that influence game bird hunting are also applied to other game animals with regulated hunting seasons, such as deer, elk, beaver, wild boars, foxes, squirrels, and rabbits. Birding and Hunting: Friends or Foes? At first thought, it may seem as though hunting and birding are incompatible. In reality, however, many birders are excellent hunters and many hunters are strong conservation advocates. After all, hunters cannot hunt if there isn't a healthy, thriving bird population. Where controversy erupts is when hunting regulations only take into account one region without studying the larger potential impact of hunting a particular bird species. For example, a bird species that is abundant and suitable to be hunted in one state may be threatened or endangered with a falling population in another. Few states or countries coordinate hunting regulations, and hunting in one state may inadvertently deplete the birds that would migrate to another. Another common controversy is based on hunting methods, specifically concerning the ammunition used. Lead-based ammunition can be very damaging to the environment and birds that inadvertently consume leftover shot pellets are subject to prolonged toxic poisoning. Hunters can switch to different types of ammunition, however, that are less toxic and still suitable for sport hunting without endangering unintended targets. Population Control: Adjusting take limits on game birds is a method of population control that will keep the birds from overpopulating an area and depleting resources or becoming a nuisance. This helps minimize the spread of diseases that could decimate not only game birds, but could spread to other bird species and wildlife. Removing Unsuitable Birds: Hunting typically removes less suitable birds from the breeding population, and only the strongest and smartest birds will be available to produce further generations. This continues to improve the populations of game birds generation after generation. Captive Breeding Programs: In some cases, particularly where hunting is a profitable sport, awareness of hunting populations encourages stocking areas with game birds bred in captivity. This can help replenish wild populations if not all the birds are eventually hunted. 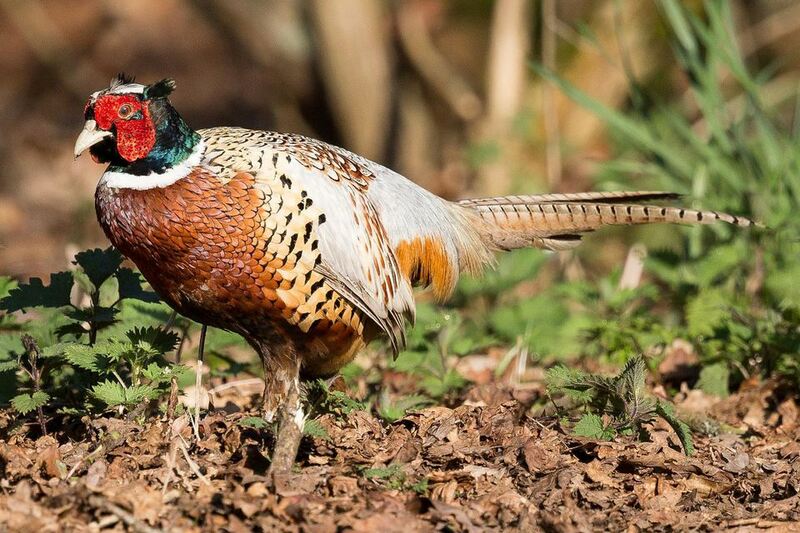 Habitat Preservation: Gun and hunting clubs often preserve large tracts of habitat for hunting activities, and that habitat is available to all species, not just the intended game birds. This land is useful to birds and other wildlife throughout the year, not just during hunting seasons. The behavior of bird hunters also helps promote bird conservation in the long run. Hunters are well aware that if birds are hunted too much or too frequently, they will not be available for further sport. Many hunters strongly promote bird conservation through habitat preservation and responsible hunting. Different regulations and hunting programs are also in place to ensure the protection of the very birds that are hunted. In the United States, all duck and waterfowl hunters are required to purchase a Federal Migratory Bird Hunting and Conservation Stamp as a hunting license. Approximately 98 percent of the purchase price of every stamp is used to preserve and protect wetlands and other waterfowl habitat that hundreds of bird species, many of which will never be hunted, benefit from. In many other countries, profits from hunting licenses and hunting access fees are also used to protect habitat and foster responsible hunting programs. Birders and hunters don't have to be at odds with one another. By understanding how hunting can benefit wild birds and how proper conservation is essential to protect hunting, birders and hunters can work together to ensure the birds they seek are always protected. What Is the Migratory Bird Treaty Act of 1918? Learn the Law!